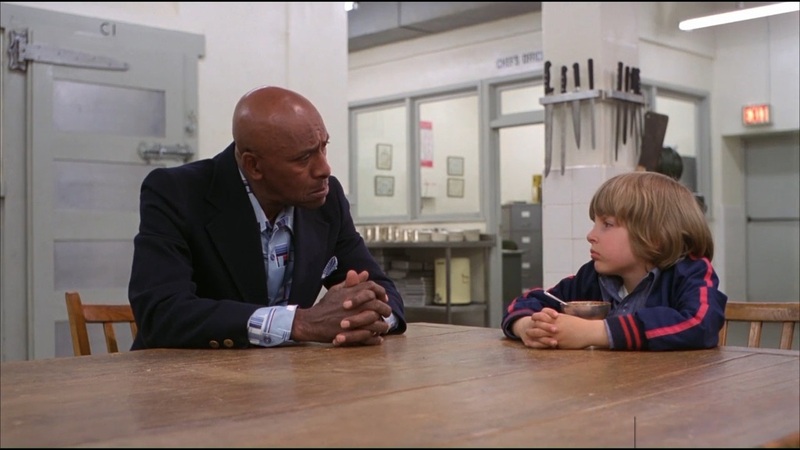 Jack Torrance (Jack Nicholson) and Danny (Danny Lloyd) in The Shining (1980). Warning: Spoilers may follow for The Shining. 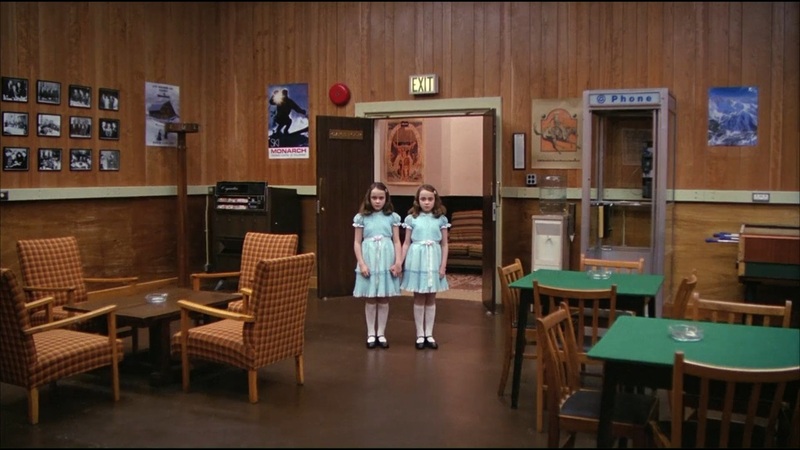 One of the best known, and arguably best, horror films in film history is Stanley Kubrick’s The Shining (1980). The film, adapted from Stephen King’s novel, is hailed by many as a genre classic. Kubrick excelled with this film in adding functional and even subliminal visual clues and props. 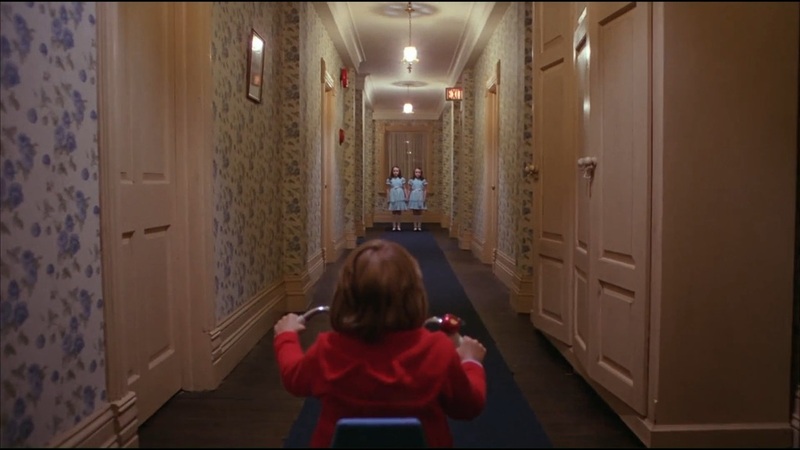 With his haunting sound effects, and terrifying lead actor Jack Nicholson, The Shining will always stand out for many as the ultimate horror film. The observant viewer will recognize a lot of repetitive patterns in the visual style of this film. This analysis will treat a few of the noteworthy ones (there are a lot!). 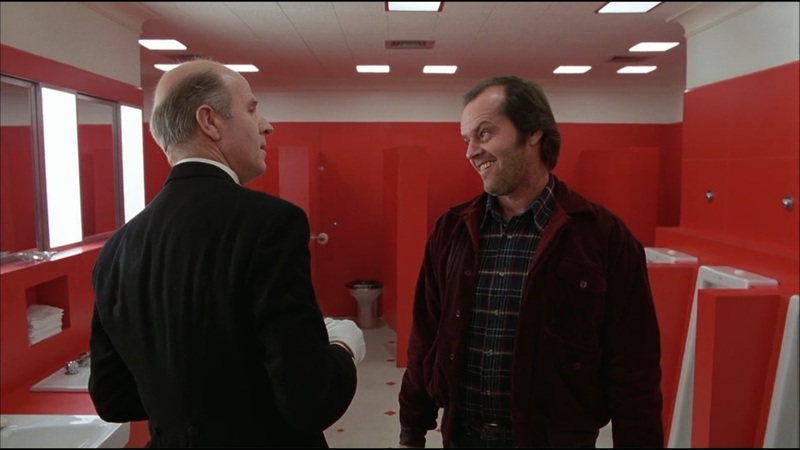 The film revolves around the slow descent into madness of the protagonist Jack Torrance (Nicholson) combined with the increasing fear of his wife (Shelley Duvall), and the visions of his son, Danny. 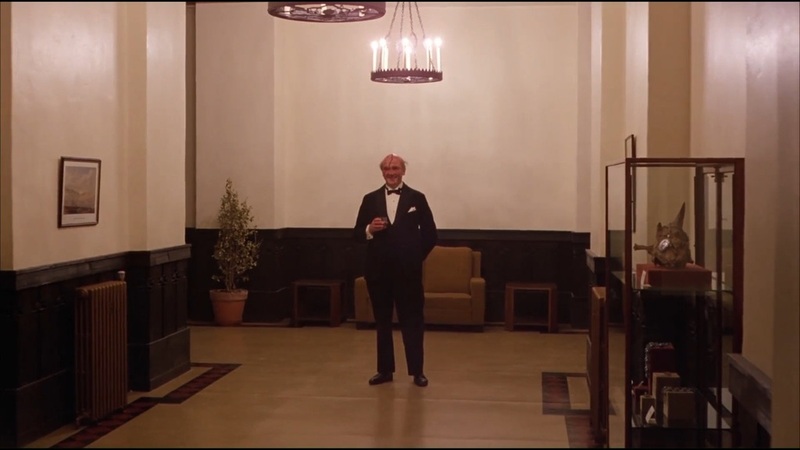 The feeling of slowly losing one’s mind in the huge hotel is illustrated by Kubrick in his use of numerous symmetries. They enhance the feeling of being lost and lonely in a huge environment. The hotel, already being a maze, makes you lose your orientation easily, which is an extra trigger for Jack to lose his mind and for the rest of his family to feel lonely and scared. Kubrick was keen on using wide angle lenses which enhances the oppressive feeling in the corridors, making them seem endless. Kubrick seems to be hinting towards the viewer and his characters that there is imminent danger and they have to leave the building. This is explicitly done by emphasizing and purposely framing the ‘EXIT’-signs on screen. They are everywhere. 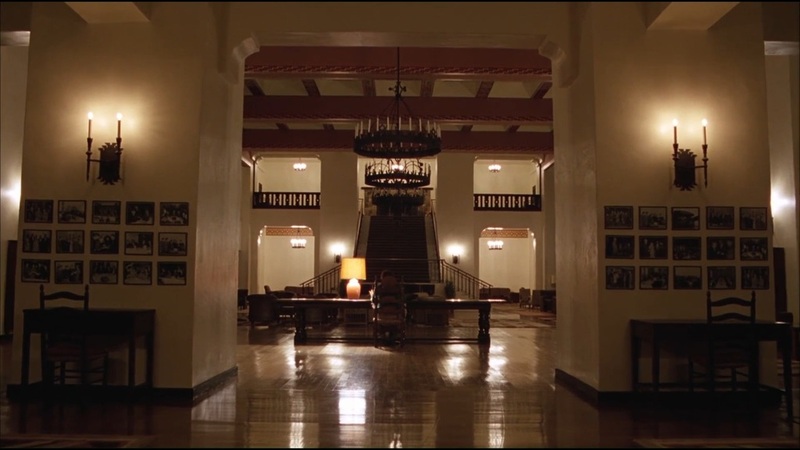 As the movie progresses, the urgency for the Torrance family to leave the hotel increases, but the hints where throughout the entire film. 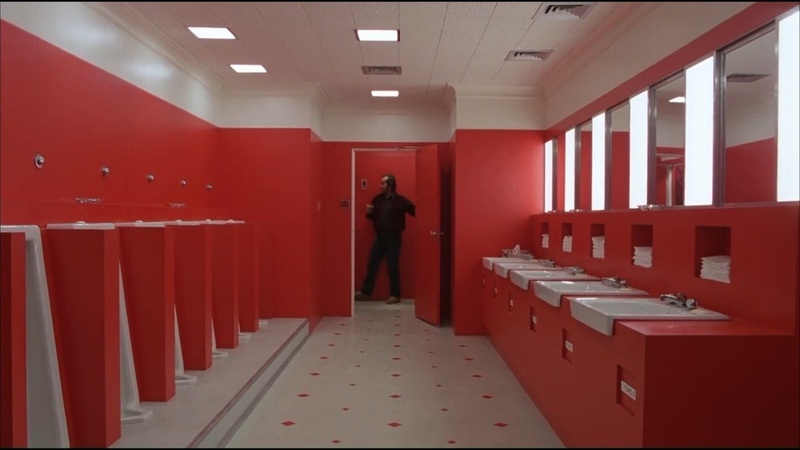 Furthermore, Kubrick uses a lot of (blood)red colours in his mise-en-scene. Another hint that something has happened and will happen in the hotel. Kubrick is emphasizing this threat also by literally placing Danny under the ‘danger’. Also notice how Danny and Hallorann are mirrored in their posture. A hint that they are somehow connected and have something in common. 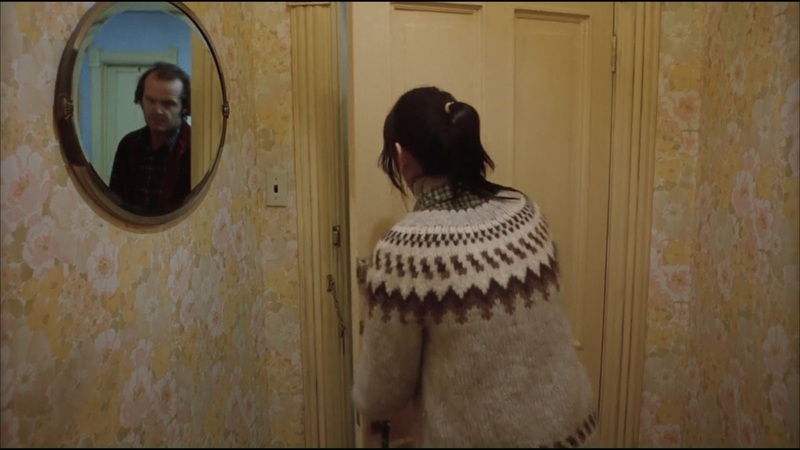 The mirrors have a major role in telling the story of The Shining. They function as a symbol in what is real and what is fantasy. They sometimes literally translate the thoughts (Danny talking to his hand Tony) and words (‘REDRUM – MURDER’) of Jack and his son. As the film, the danger, and descent into madness progresses, the use of mirrors is increasing in frequency. It functions as a reality check: when Jack for instance sees a beautiful naked woman coming out of the bathtub the mirror shows the ‘ugly’ truth. 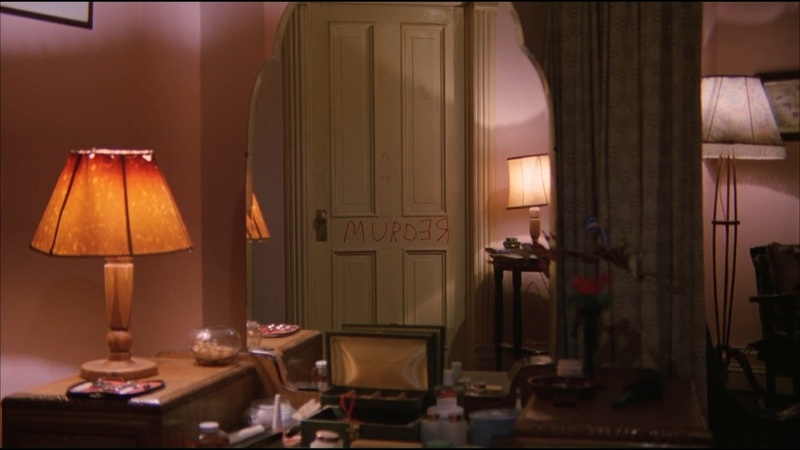 Danny’s mom sees the truth of ‘MURDER’ in the mirror towards the end of the film. The blood red colour and mirroring are beautifully put together in the bathroom scene. 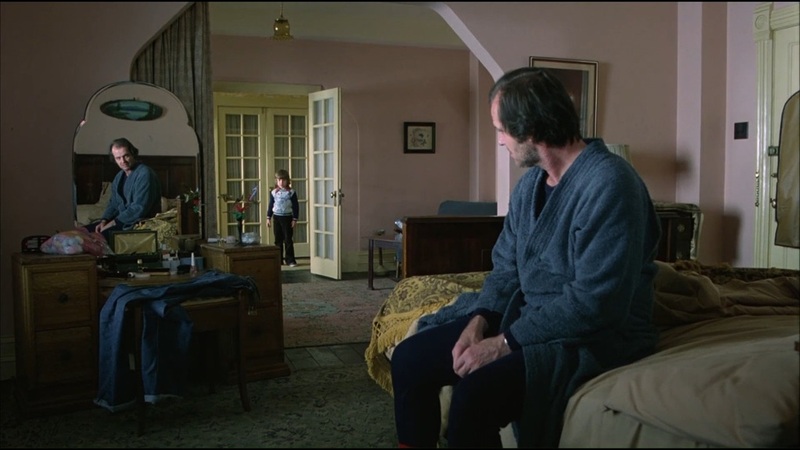 Jack Torrance is literally mirrored in sinister ‘red’ with this predecessor or alter ego. Note how they are always facing each other. Like they don’t exist together but are one and the same person. Or at least not in the same dimension (a fantasy). Of course, later on we will understand how they are connected. Like his mirror image, Jack tries to murder his family. Furthermore, Kubrick positions his characters underneath a chandelier or lamp when they are in danger. It’s like danger is literally above their heads. Notice how this is done subtly but very clear when Danny visits his father in his bedroom. Something is above his head. Combining this clue with the numerous amount of EXIT-signs really makes a clear statement: leave this hotel, there is danger! Kubrick adds with his visual clues to the feeling of claustrophobia and disorientation to the descent of madness that Jack Torrance undergoes. 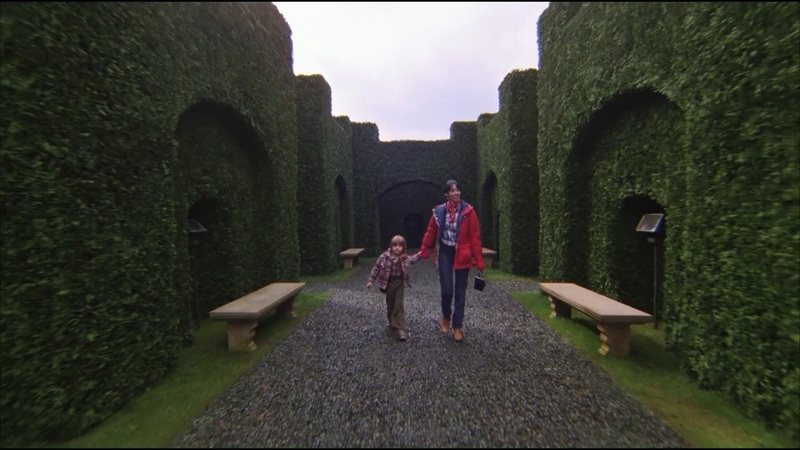 The maze-feeling of the hallways and mirroring adds to the feeling of danger and uneasiness that especially Danny feels inside the corridors and around room 237. The latter being the name of the documentary that shows a lot of visual clues and underlying themes in this film. 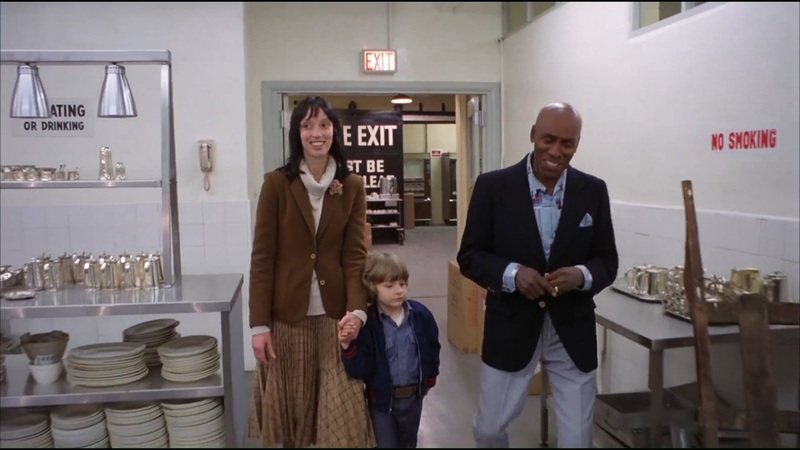 Proving that The Shining is rich in visual subtleties that keep you trying to explain why you see what you see. Viewing upon viewing there is more to discover and explain. Kubrick has put thought in every single shot and visible detail.